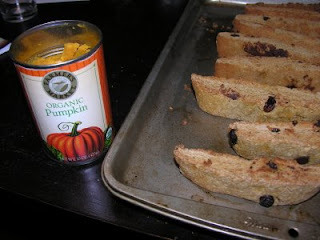 The other night, I, alone, and by myself, with no help whatsoever, made pumpkin biscotti, using a slightly modified recipe from Simply Recipes. 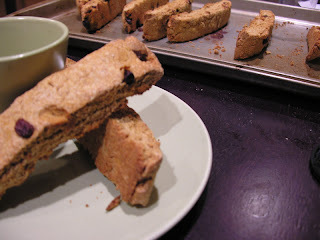 I ran across your blog while searching for a pumpkin biscotti recipe with WW flour. I've got leftover pumpkin from some breakfast bars. I can't wait to taste the biscotti.